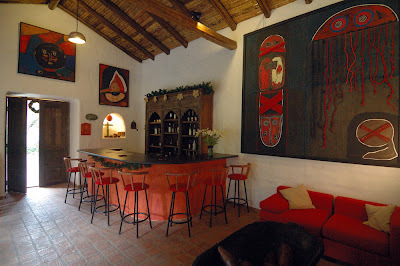 Open from 19h00 to 22h00, so you can enjoy a glass of wine in front of a nice fireplace, joined by your beloved ones. You can also relax watching a movie on the TV / DVD. Enjoy a starlit night with a delicious cocktail in our terrace. The best ambiance to finish a great day.